Back in this year, I used to belong to one of those mail order record clubs. You know, you join by buying six albums for a penny and then you have to buy a certain amount of albums in two years. I think RCA ran the one I belonged to. They had an album of the month and if you didn’t say that you didn’t want that album in time, they would send it to you. I always got my no response in time, especially after my friend who didn’t and got sent an album by KC and the Sunshine Band. I bought a number of albums this way: Alice Cooper- “From the Inside,” Van Halen II, ZZ Top- “Eliminator” and I know for a fact that the very last album I purchased this way was Black Sabbath- “Live Evil.” Whenever, I would go through the booklet of albums to buy, this album “Crash and Burn” by Pat Travers was always in it. I never bought it, even after listening to his great previous live album, “Live! Go For What You Know.” Having finally heard this album, I regret never buying it all those years ago. Pat Travers is responsible for rekindling my love for blues based guitar rock. I love the slow but hard riffs accompanied by a long guitar solo in the middle. His talents shine on the fore mentioned live album and they continue to do so on his 1980 effort, “Crash And Burn.” Saying that, you might be fooled by the opening title track as it’s more of a progressive rock song. However, the second track, “(Your Love) Can’t Be Right) goes back to the style Mr Travers has been best known for. Then comes the very famous “Snortin Whiskey” and you know that all is well. This is probably the most mind blowing song he’s done, at least in my limited experience of Pat. A great hard rocker with a just as amazing guitar solo. It bears all the trademarks associated with this great musician. The pace is then set for the rest of the album after that but I do love his take on the Bob Marley written “Is This Love” which is done with total pinache. The album goes well all the way down to its exciting closer, “Material Eyes” and sends the album out on a very definite high. First of all, I apologise for the lack of photos on this post. I don’t know what the problem is here but it’s not letting me do so at the moment. If I can sort it, then I will add them. Still, you don’t need photos to know what a great rocking album “Crash and Burn” is. I bet that Pat Travers hasn’t gotten anywhere near a nomination for the Rock Hall of Fame, sad. This entry was posted on September 10, 2013 at 4:49 pm and is filed under 1980s, Music, Rock, Uncategorized with tags Blues, Classic Rock, Crash & Burn, hard rock, Heavy Rock, Live! 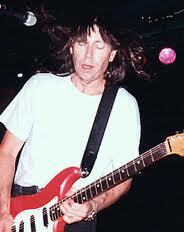 Go For What You Know, Pat Travers, progressive rock, The 1980s. You can follow any responses to this entry through the RSS 2.0 feed. You can leave a response, or trackback from your own site. Great album…and the RCA Record Club was a fantastic deal. Thanks for taking me back to my youth. I’m still amazed at how much airplay Travers got with “Snortin’ Whiskey” at the time. I guess the DJ’s liked the sentiment. You’re welcome and yes it was amazing that the played the song on air. Of course that was pre-Regan before things like that changed. The only track I know is ‘Snortin Whisky’ – there’s too much music out there!! I hear you, but I think it’s more a matter of not enough time than too much music. I like the fact that there’s a seemingly never-ending supply of inspiring music to be discovered every day, even by those of us who already know a whole lot of music. Nothing wrong with too much music, I think it’s more of what KamerTunes says. Not enough time. Have a listen to this album or the live one I mention. Both are outstanding.